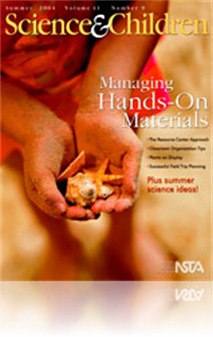 Plants play an essential role in daily life, making them a natural subject of study for a standards-based unit in the elementary science curriculum. One creative way to give students direct experience with living plants is by using theme-based live plant displays. The displays, which changed over the course of the year focused on five themes: the environment, plant families, plant organs, growth and reproduction, and plant origins. Plants are essential to our daily lives. Plants are used for food, medicine, clothing, etc. It is important for students to understand that we need plants in our lives. In this article, it discusses how students can understand how plants are essential to our lives. Rather than just learning about plants, allowing to have the students to have access to hands-on life science learning by having plant displays in the classroom. The plant displays follow an eight-month timeline that covers a project theme and the NGSS. While having these plant displays, it holds students accountable for maintaining the plant in the classroom. It also allows them to understand the learn about the plant’s: environment, families, organs, origins, growth, and reproduction. This article can be beneficial for teachers to provide students with the opportunity to experience plants up close. My only concern is not having available resources or plants to start the project. Otherwise, this is a great project to implement in the school!